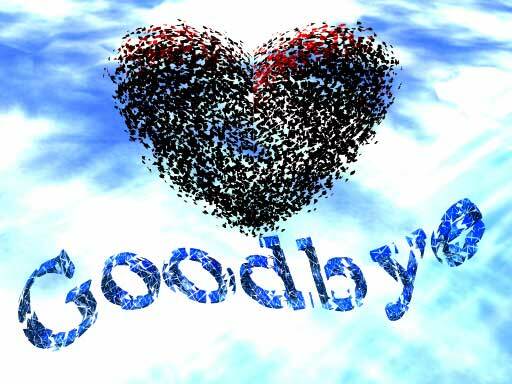 Posted on September 8, 2013 by Twin Flame Creations Inc.
We had about 8 months to prepare for what we knew would be the big “good-bye” and I dreaded that day like no other. It was a feeling of impending doom that was hanging over me for so long, and just the thought of it would bring me to tears. I had prepared myself, busied myself and projected what those last moments and the aftermath would be like for me and when it finally came, the emptiness inside of me was more painful than I had imagined…but only for a moment. I knew they were going off to new adventures, to begin a new existence where I wouldn’t get to see them everyday, but that we would still be connected in our hearts and yes, by the internet. No, this isn’t a story about someone dying, although the principles and stages of grief and letting go are the same. This is the story of my two daughters and step-granddaughter all whom we have just this week packed up and sent half way around the world. My girls are now in New Zealand, where they will be exploring and experiencing the adrenaline rush of the extreme sports they love so much before they head off for a year in Australia, backpacking, working, connecting and living. The plan is then to venture off into several Eastern Asia countries and end up in Europe. That’s quite a trip and the plan is to be gone for 2 years. My granddaughter is in Brussels for study of her International Business Degree for a whole year and putting her on the plane the day after my daughters was like shell shock to an already beaten up emotional system. The three of them have been together living and studying for the past 2 years, and have all had to pack up their lives, quit jobs, leave behind friends, family and each other to pursue their dreams…and here I am feeling sorry for myself. Feelings of loss, emptiness, anger, resentment, betrayal, numbness and whatever else you’re feeling is natural and is OK. Don’t push down your emotions but instead experience them however you need to. Crying is good- get it all out instead of holding onto it. Remember, your kids are experiencing this as well; at least you’re still in familiar surroundings. Try getting into a new routine instead of dwelling on the old one where your kids were involved. Remember that those feelings of emptiness will go away when you fill them with something new and focus your energy on the new life you’re building for yourself. Get back to “normal” as soon as you can. I gave myself a few days to mope around and feel sorry for myself even though I thought it would take weeks. Often, what we are projecting for ourselves isn’t the way it turns out at all so welcome joy into your life when it appears again or simply create it by doing things that you love to do. Know that you have taught your children everything they need to know and if you didn’t, then they are about to learn it for themselves. Giving our children the gift of independence will help them with their own decision making process and until they experience things on their own, they won’t property learn them. Trust that your kids are on their own spiritual path, with their own life lessons to experience and grow from. If we are always smothering and trying to protect and control their lives from our end, we are enabling their lack of personal sovereignty. Be kind to yourself and to them. Everyone is learning a new way of being at this moment of separation which can be difficult. Encourage your kids and yourself to look at going away to school in small chunks rather than large ones. Semesters are only a few months long and Christmas break is only 3 months away. Focusing on the next “welcome home” gives you something go to look forward to. Take advantage of the internet, email, Skype and other social media to keep in touch. I can’t tell you how wonderful it has been to chat with my girls every day this week, to see their picture postings and feel like I’m right there with them. That in itself has shown me that they are OK and are settling in just fine. When feeling like you’re missing them, it might be helpful to ask yourself exactly what it is you’re missing. Yes, we will miss their presence and interaction on a daily basis, but when I asked myself that question, I realized that a big part of what I was missing was the security of knowing that they were safe here with me and that I could protect them as I always have. Having them on the other side of the world has tested my own comfort level of their personal safety and the fact that I can’t control that anymore. Healing that has been a great gift from them. Know that everyone is exactly where they’re supposed to be in every moment and that the gifts of their absence are providing growth and evolution for everyone involved. Trust and surrender is a tough one, but who said letting go was easy, right? When you finally can, you will experience a love and connection that is non-controlling, freeing and deeper than you’ve ever known. Give yourself a pat on the back as a parent because if you your kids are going or have already left, know that you have instilled the confidence in them to do so. Turn your “empty nest” into an opportunity to have some well deserved “me” time, rediscovering yourself again after playing the parent role for so many years and you might be surprised at who you will be transformed into instead. This entry was posted in Uncategorized and tagged healing, letting go, parenting, self-help, spirituality, travel. Bookmark the permalink. Basically wanted to express I am pleased that i stumbled in your web site!